Not long after the thought crossed her mind, she sipped a Sequoia Grove wine while having dinner at the White Barn Inn in Kennebunk. That moment inspired her self-fulfilling vacation. 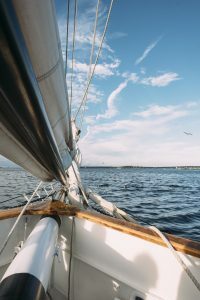 Three days later, she was on her way to spend two weeks at the Culinary Institute of America Rudd Center for Professional Wine Studies in St. Helena, Calif.
After that first trip, Erica continued her wine education. 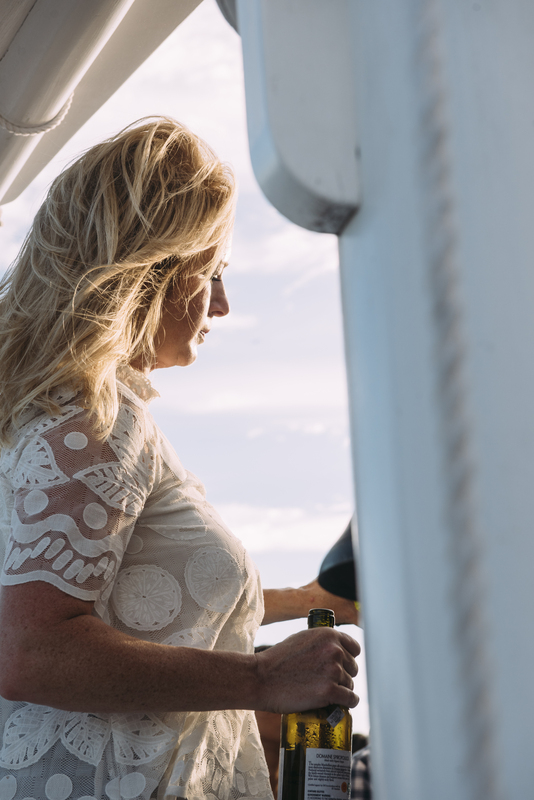 She returned to California, took as many classes as she could, and two-and-a-half years later, found herself taking the wine professional certification exam, “for no other reason than to finish what I started.” However, Erica’s instructors would not let her stop there. Wine also became her career. After 13 years at Idexx, Erica left to found Wine Wise, a wine education events company focused on helping wine lovers understand what they’re drinking. Her first event took place in 2010, with the help of DiMillo’s Restaurant manager Johnny DiMillo and chef Melissa Bouchard. She eventually started hosting weekly wine events at The Wine Bar (a once-popular spot on Wharf Street in Portland, which has since closed). Now, Erica hosts various events on educating her clients about wine, all while making it very approachable. 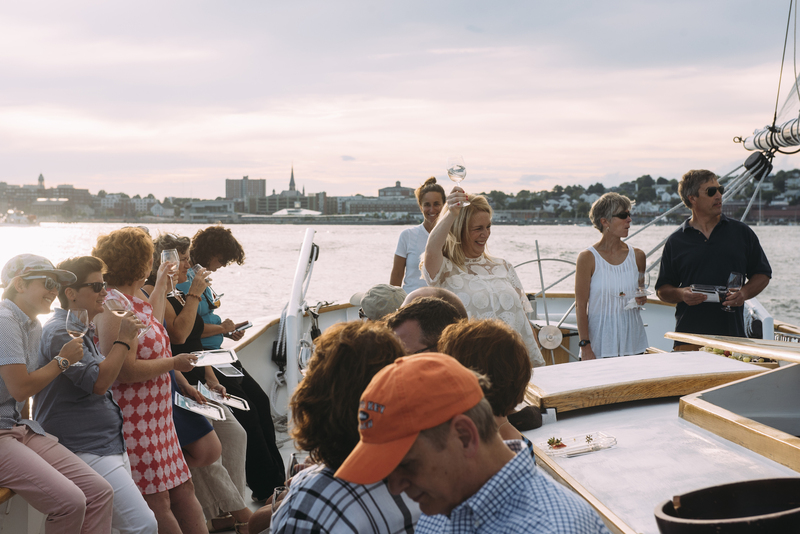 Regularly scheduled “wine walks” take place in Portland and seasonally in the Kennebunks and Ogunquit. 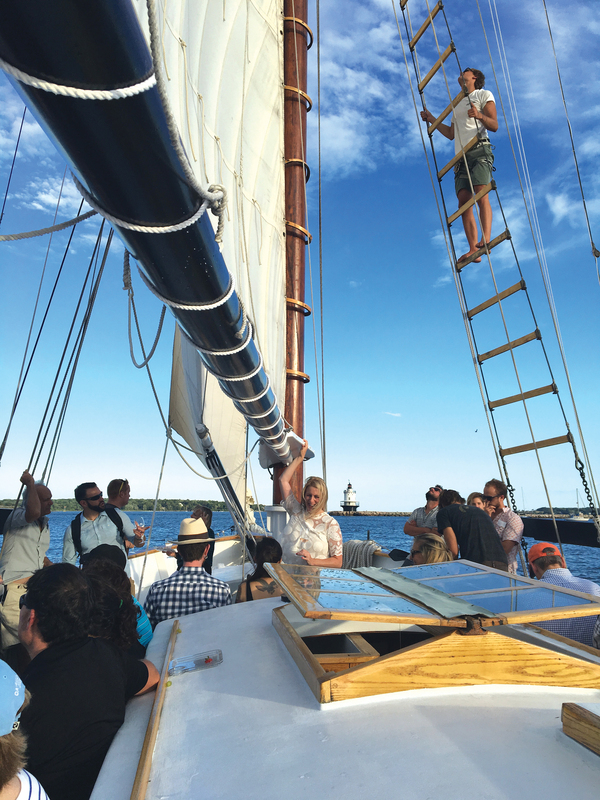 From mid-June through mid-October, she also partners with local captains for sunset sails in Casco Bay and along the waterways of the Kennebunks. 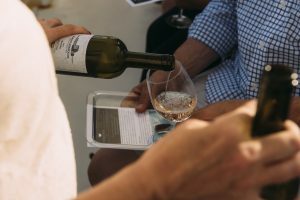 Each event offers the opportunity to sample four wines—usually with a theme, such as wines from a specific region or wines made from a specific grape varietal—and enjoy various tapas. “I try to mix it up as much as possible,” for each event, says Erica. Wine Wise events often sell out, and Erica says she often sees repeat customers at her various events. 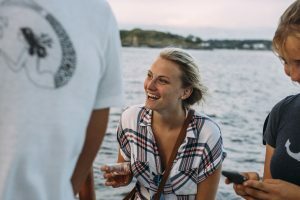 She hopes by offering variety in the wines she chooses and the locations of the events (specifically on the walks), her clients will always be introduced to something new. The something new could be a type of wine, a brand of wine or even a restaurant they haven’t yet tried. “Like any business, I have suppliers and customers, and a business can only be as good as its suppliers,” says Erica, who explained that the wine walks are collaborative with the restaurant owners, chefs and bartenders. While she picks the wine based on what they have to offer, it is often the chefs who create the tapas to pair with her selections, allowing them to showcase their talents. It is not unusual for a chef or restaurant owner to come out and introduce him or herself while Erica has a group at their location. While business is going well for Erica, she’s always looking for what is next. This month, it’s the addition of a wine vacation—she is hosting a trip to Sonoma and Napa for up to 12 people. During this trip, she will take everyone to Sequoia Grove Winery, the place that made wine pivotal to her own career. She is planning more growth for Wine Wise, but is not ready to release the details just yet. In the meantime, she continues her wine education. She is working toward her Wine, Spirits & Education Trust Level 4 Advanced Certification and enrolling in the Masters of Wine Program. Erica Archer sends all her Wine Wise event guests home with an assignment (it’s homework most guests are happy to complete). If you’re curious about wine, check out Wine Wise for upcoming events, and tackle this homework assignment yourself! Emma Bouthillette is a Biddeford native currently crafting her forthcoming book, “Biddeford: A Brief History,” with an anticipated release date of May 2017 through Arcadia Publishing.